A Nigerian church leader who fled persecution and is now living in the United States recently shared the horrifying details of how his father was killed for simply standing by the Gospel of Jesus Christ and how terrorists aligned with the Islamic State burned down his church building. David-Olonade Segun, who now resides in Holland, Michigan, told the Holland Sentinel that a new chapter of his life began a few years ago after his family was targeted by extremists affiliated with Boko Haram (also known as the Islamic State of West Africa since 2015). Segun and his wife, who were originally from the a Christian-majority area of southwest Nigeria, operated a ministry called Victorious Life Assembly, which not only ran a church but also operated a school, orphanage and widows ministry. Although the ministry originally began in southwest Nigeria, Segun and his family made the decision to move the ministry to the troubled northern part of Nigeria that has been plagued by violence in recent years even though they knew the risks they would be taking. "I felt the leading of God to go to the parts of Nigeria and minister to these people," Segun explained. According to the Holland Sentinel, the ministry provided a home for as many as 150 orphaned children and offered care for the poor and the widowed in parts of northern Nigeria. Additionally, the ministry provided clean water to local villages. Although the Victorious Life Assembly was a blessing for the beleaguered community, it drew the ire of Boko Haram. The terror group has terrorized the Borno state of northeast Nigeria with its radical Salafi jihadism since 2011 and has killed thousands. The group has also enslaved countless women and school girls. The pastor recalled the attack that changed his life forever. However, he wasn't there when it happened. Segun told the newspaper that the day after he, his wife and their four children left their home to go to a convention where Segun was scheduled to be a speaker, Boko Haram militants arrived at their home. Although Segun's mother was able to escape, his father was not as fortunate. Militants reportedly questioned Segun's father about where he was. The father told them that his son had gone to the church. After the militants couldn't find Segun at the church, they reportedly burned it down and killed the church's assistant pastor. Segun stated that the militants went back to his father and allegedly placed a Bible and a Quran in front of him and told him to choose one. Segun said that after his father chose the Bible, the militants doused him in gasoline and burned him to death. "If they had destroyed everything I owned, that would have meant nothing to me," Segun contended. "But my father, he loved Jesus, he taught me to be strong. "My friend encouraged me that, 'Your father stood with Christ in the end.'" Segun said he had lost everything he had labored for over 18 years to achieve. Following the attack, he eventually decided to go to the U.S., considering that just weeks before they had received visas to visit the U.S. for a planned vacation. Following the death of his mother, Segun and his wife and children stayed at the home of his friend's brother in Texas. They lived in the basement, he told The Holland Sentinel. "We started a church in the basement of his house," he said. But thanks to damage caused by Hurricane Harvey in August 2017, the Segun family went to Chicago in their van in hopes of staying with Segun's friend. But the entire family could not fit in his friend's one-room apartment so the family was forced to sleep in their van. Segun claimed that while he was sleeping in the van, he received a sign from God that they must go. They eventually reached a Wal-Mart in Holland, where they were connected with a couple of local organizations and churches. According to the newspaper, those organizations have been able to provide the family with short-term housing and aid. Moreover, Bethany Christian Services in Grand Rapids helped Segun find employment while the family applies for asylum. BCS has also offered the family counseling services to help them deal with the trauma they have suffered through the ordeal. Despite the tremendous loss the family has faced, Segun said that it is still important to count the blessings. "You know, sometimes, you think of some good things. I think, 'God, what if [Boko Haram] came yesterday (before the family had left for the conference)?' This is God's way of saving us. I think of that, too. ... I do pray for Christians in northern Nigeria, because they get killed every day." Nigeria ranks as the 14th worst country in the world when it comes to Christian persecution, according to Open Doors USA's 2018 World Watch List. In its 2018 report released last month, the U.S. Commission on International Religious Freedom again called on the U.S. State Department to list Nigeria as a "country of particular concern" for systematic, ongoing and egregious violations of religious freedom. 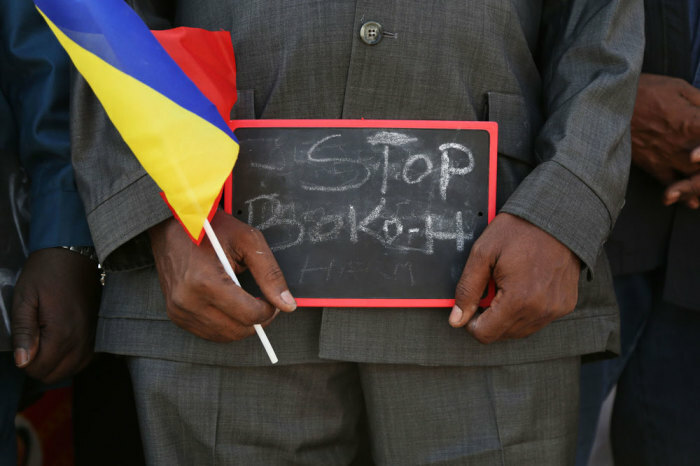 In February, Boko Haram kidnapped over 100 schoolgirls from a secondary school in the town of Dapchi. Although most of the schoolgirls that were still alive were released, the terror group reportedly held onto one schoolgirl because she refused to denounce her faith in Christ. Earlier this month, the mother of Leah Sharibu declared how pround she was that her daughter wouldn't denounce her faith in Christ. "And because of that, I know God will never forsake her," the mother was quoted as saying. "When she went away to school, I gave her a copy of the Bible so she could have her personal devotions even when I am not there. As her mother, I know her to be an obedient daughter, respectful and someone who puts others before herself."